Life is good in ‘ Davido kingdom’ as his babymamas,Sophia and Amanda have united for the sake of their kids with the superstar. Last week, the kids were pictured together at his sister’s babyshower . 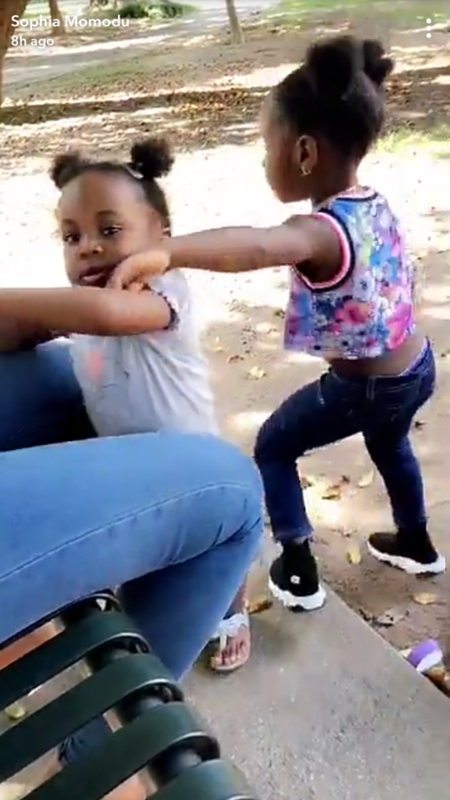 Amanda who is the mom of Davido’s second daughter,Hailey,posted a video of Imade and Sophia together. Yesterday, Sophia reciprocated as she shared videos of Imade and Hailey bonding. 0 Response to "Davido’s Babymamas Unite As Their Kids Bond In Atlanta"